The Indian Premier League is THE biggest live televised event in India in terms of viewership and spends. Over the last decade, the IPL has proved to be a 'game-changer' not only for cricket, but also for the entire Indian advertising industry. Last year, more than 100 brands advertised across 20,000 ad spots on TV during IPL. And this year, advertisers are expected to spend over ₹2,000 crores. Due to the league’s high impact , brands end up spending 20% more for premium ad spots! Is there a better way to advertise on TV during IPL? Yes, there is! 1. Advertise on impactful ad spots – get the best value for ad dollars! During IPL, choosing ad spots in the most cost-efficient manner is the biggest challenge that many advertisers face. With 10-second ad spots costing upto ₹13 lakhs this IPL, it becomes crucial for brands to ensure that they get their money’s worth. Getting precise data-backed insights like best performing match days, high impact slots within matches, and even reach across geographies by match-type (openings, play-offs, etc.) can go a long way in helping you choose the right ad spots to reach your target audience most effectively. Not all IPL viewers are exclusive to sports channels. In fact, the upcoming general elections will clash with some of the IPL match dates and your viewers can also be reached through other channels. This calls for a strategy that targets your TV viewers across channels more efficiently. Advanced TV viewership analytics can help you understand the viewing habits of your brand’s target group. By looking at how IPL audiences watch other channels and shows, you can discover other relevant options to complement your existing IPL campaign. For example, our studies show that around 45% of IPL audiences also watch Malayalam channels. This gives brands the opportunity to increase frequency of exposure among their IPL viewers by reaching them through these channels. 3. In addition, target your IPL TV audience on mobile! Another way to make the most out your advertising efforts during IPL is by thinking outside the (TV) box. 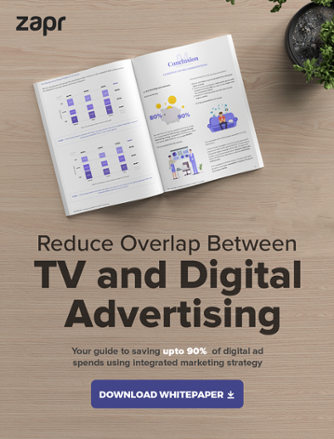 Integrating digital advertising with your TV ad strategy allows you can save upto 90% on your digital spends. (read more about this in our whitepaper). Extend your TV ads on mobile and engage audiences on top apps that they use while watching IPL. By identifying high probability app-types through an integrated marketing approach, you can achieve 30-50% more useful digital impressions. With just a few weeks before the new IPL season kicks off, it’s crucial that you sharpen your TV media plan to stay ahead in the field. To explore more on how your IPL ad strategy can create a higher impact among TV audiences, get in touch with us now.